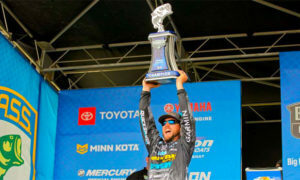 If there were a college curriculum designed specifically to prepare aspiring professional anglers for life at the tour level, what would it look like? That’s the question that popped into my head after coming across this Q&A posted at BassEast.com earlier this week. 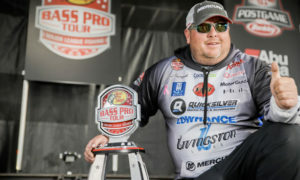 In the Q&A, FLW pro Michael Murphy says he took a few sales and marketing classes along with a heavy dose of fisheries biology courses while attending Purdue University to help him along his path to becoming a cast-for-cash full-timer. That’s a pretty good start, Michael. But I believe being a successful tour pro takes a lot more than being able to properly identify freshwater crustaceans or knowing how to tastefully hawk your sponsor’s latest widget from the weigh-in podium. And thus, I present to you a sampling of the curriculum for the newly founded Bucketmouth University, where the world’s anglers gain the skills needed to survive, and thrive, in the fast-paced and unforgiving world of professional tournament fishing. This course covers the most basic terms essential for communicating in the world of competitive angling. Topics include understanding the differences between structure and cover, the interchangeability of terms such as creek and slough and an in-depth discussion on the academic distinction of adjectives used to describe water clarity (stained, muddy, clear, turbid, etc.). This course is a recommended prerequisite to TOAD201 (Fishing Slang From A Regional Perspective/Swindle). Dealing with adversity is an essential skill for every tour-level pro. ANGR101 delves into techniques for coping with the negative feelings brought on by prolonged emotional stress and solitude. 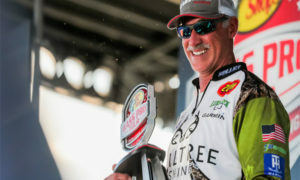 On-the-water outbursts have caused some anglers to be disqualified from tournament competition, and in some cases, the loss of valuable sponsorships. This course will teach you the skills to avoid these meltdown moments. This course is a recommended prerequisite to DISQ201 (Coping Strategies in the Aftermath of Disqualification/Monroe). 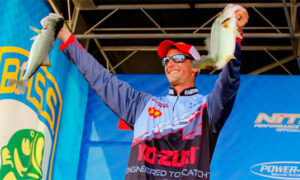 Bass fishing’s top pros will tell you that skill with a rod and reel can only carry you so far in the big leagues. The reality is that sometimes you need a little luck on your side to win the big one. And when it comes to luck, there’s nothing that packs a punch quite like Kevin VanDam’s fabled magic cookies. In COOK101 you’ll dscover the recipe for VanDam’s favorite on-the-water snack and learn the patented step-by-step process for baking your own batch of sugary brilliance. SHOT201 is more than just a course about dropshotting, it’s an immersive experience masterfully led by world-class finesse fishing expert, Aaron Martens. Students will be challenged to devote themselves to meditative exploration ofÂ philosophicalÂ ideals such as “Be the Roboworm” on their path to achieving an intimate familiarity with the versatile and highly-effective method for capturing bass known as the dropshot. Prerequisites to SHOT201 include: PALO101 (Discovering the Palomar Knot/Kriet) and SPIN101 (An Introduction to the Spinning Reel/Kiriyama). NOTE: SPIN101 is a remedial-level course and does not count towards any degree plan. 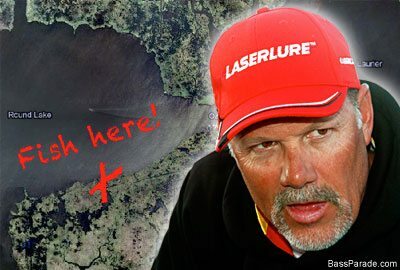 It is strongly recommended for anglers born in Alabama, Florida, Louisiana, Mississippi and Texas. This course explores the methods by which anglers can elevate consumer awareness to their brand image through the use of fashion as a means to convey ideas. NOTE: In addition to the recommended texts, the instructor for this course requires students to purchase the following instructional aids: fringed vest, suede cowboy hat. This is merely a representative cross section of the comprehensive educational experience Bucketmouth University has to offer its students. 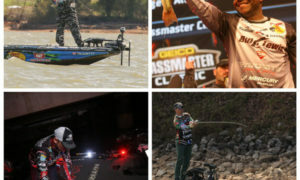 Whether you choose to pursue a simple certification from the Brauer School of Flipping, or want to obtain an advanced degree from the Clunn College of Angling Philosophy – Bucketmouth University can help you achieve all your educational goals on your path to becoming a well-rounded professional tournament angler. If you have suggestions for courses or instructors you would like to see added to BU’s highly esteemed school of angling, I welcome you to make them known in the comments below. I hope to see YOU on campus next semester! Where can I sign up? Is there a fishing team? 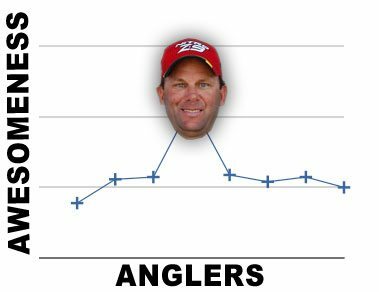 This may be the single best Bass Fishing Blog Post I’ve ever read. Very creative. Any Real Men Left in Gainesville?